A toggle switch is a handy and one of the most used blender parts on the blender base. When shopping for the right kind of controls for you, keep in mind the uses that you want for your blender. Usually there are two switches. These switches start and stop or slow down and speed up the motor. It looks like a light switch for a ceiling light. One is an on/off switch. The second one is for high and low option. The biggest downfall of this option is that you have to manually change from low to high and vice versa. If you blend smoothies often, you will notice that if the blender stays at one speed, the frozen drink tends to ride up above the blade. 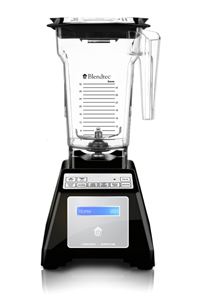 If the blender changes speeds, the blender will work much more efficiently. That will ultimately save you money in electricity as you will not have to blend for longer periods of time. Another downfall is that you might find that you need a speed in the middle of high and low options. Even with these cons, many people are still pleased with this type of switch. Some blenders have multiple buttons to choose different speeds. There are some problems that occur. These blenders allows for different speeds. But when you choose one speed, you have to stop the blender and switch speeds. You also have to manually stop the blender. I haven’t seen many blender parts with a turn knob. It is nicer than the two options above. You can vary the speeds while the blender is running. But the downfall is that you are still required to stand next to the blender the whole time. We have one of these blenders here at the house. My husband calls it a “Man’s Blender.” Because gets to control the "power" of the blender. On the plus side, turn knobs are easier to clean if you have an accident. My favorite controls for a blender is a touchpad. The touchpad usually is a flat, easy to clean surface with multiple speed options. My favorite blender, the Blendtec blender, has a touchpad. There are several options for speeds. Most of the options will vary the speeds from low to high to very high and stop automatically. This is extremely nice in my busy household. I can leave the room or continue cooking dinner and not worry about varying the speeds and stopping the blender. You should now have a greater understanding of the kind of controls that you want your blender to have in order to make your life easier.